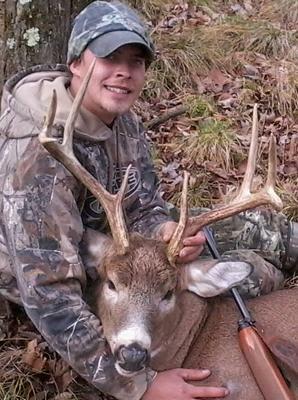 St. Lawrence County 8-point with an 18-3/4 spread and weighing 170 lbs shot with 30-06 7400 Rem. 150 grain ballistic tip. The buck is not yet been scored.